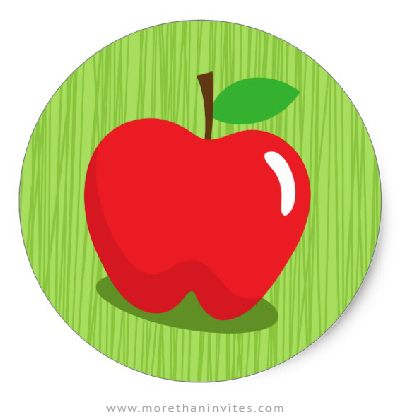 Fun stickers or envelope seals featuring a nice, red cartoon apple with a leaf. Green background. Available from Zazzle.